More than just chess lessons – This chess school inspires its students to a better life. 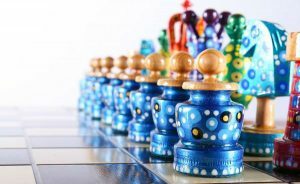 SOM Chess Academy is a unique chess school with an amazing story behind it. One man, Robert Katende, managed to bring a game that was once only available to Uganda’s elite into the lives of the children of Uganda’s slums. Through his education and ministry work, Katende has transformed and uplifted the lives of thousands of disadvantaged children. The chess school he founded, SOM Chess Academy, is continuing to do so every day! Despite starting out with the deck stacked against him in childhood, Katende has managed some impressive accomplishments. Katende was born in Uganda’s Kiboga District to a teenage mother. His grandmother was his caretaker, though they found themselves uprooted by the Ugandan Bus War insurgency. Eventually, young Robert ended up in Kampala, being cared for now by two of his aunts in the slums of Nakulabye. Robert worked hard and managed to make it into Kyambogo University, where he studied civil engineering. He now holds a degree in information technology and computer engineering, as well as master’s in international community development. Robert played football (soccer) with the Miracle Football Club and Top TV F.C., among several others. He currently plays for the Good News F.C. In the year 2000, Robert began volunteering with Sports Outreach Ambassadors (SOA). He had a passion for helping younger players with their football skills and continued to volunteer coach for two years. Robert began working for Sports Outreach Ministry (SOM) full-time in 2002 and has remained involved with the organization for over fifteen years! Katende has served as SOM project coordinator in Katwe, as a Ministry Director in Kampala, and as the Sports Outreach Director for Kampala, Nairobi, and Africa as a whole. Katende was also involved in SOM’s partnership with Divine Waters Ministry, which went to Gulu to dig wells. 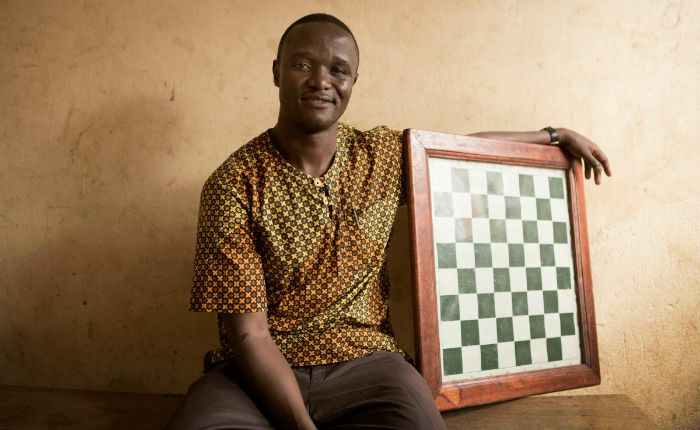 Katende began teaching chess to kids in the slums of Kampala, Nairobi, and Gulu (specifically at the Internally Displaced People’s Campus), an area heavily impacted by Kony’s Lord’s Resistance Army. 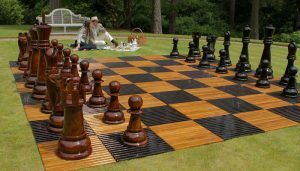 Robert started out with only a single chessboard, and the desire to help children through ministry and the game of chess. From those humble beginnings, he has managed to impact the lives of thousands for almost two decades. After two years of running a chess program in Katwe, Katende asked the Uganda Chess Federation to let his team of kids compete in the National Secondary School Chess Tournament. He was turned down several times because they weren’t part of an actual “school.” But thanks to Robert’s persistence, they were finally allowed to participate, though only as guests, in 2005. However, once the tournament officials (and other participants) saw these kids play, they were blown away! Despite being so young and from such disadvantaged backgrounds, the kids on Katende’s team showed remarkable skill at the game. The kids on Katende’s team showed remarkable skill at the game. 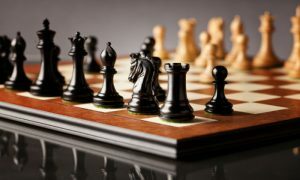 The Uganda Chess Federation ended up offering Robert a position as Chairman of the Chess in Schools Committee, and he later was appointed their Director of Development. He is also a certified FIDE instructor and arbiter. Robert Katende is probably best known for being the man who taught Phiona Mutesi, Uganda Katwe’s first Women’s Candidate Master. Born in 1996, Phiona grew up in the slums of Katwe, Uganda. At age nine she was forced to drop out of school, as her family could no longer afford to send her to school. 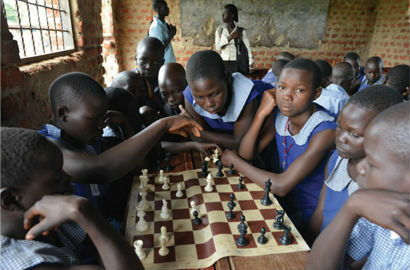 By chance, she discovered one of Katende’s Chess Academy programs. She also ended up learning how to play chess from him, and the rest is history! Phiona’s skill attracted a lot of attention when she played on Robert’s guest team at the National Secondary School Chess Tournament. And the very next year, Phiona won the distinction of National Junior Chess Champion of Uganda. She maintained that title for three consecutive years. In 2009, Phiona played on Katende’s team in Sudan, representing Uganda at the African Children’s International Chess Tournament. The following year, at age 14, Phiona qualified to represent Uganda at the World Chess Olympiad in Russia. At the Olympiad, Phiona caught the attention of Tim Crothers, an American journalist for ESPN: The Magazine, who wrote a piece about her for the magazine. Phiona continued to play and excel in chess tournaments and Olympiads over the next few years, earning the title “Woman Candidate Master” in 2012. 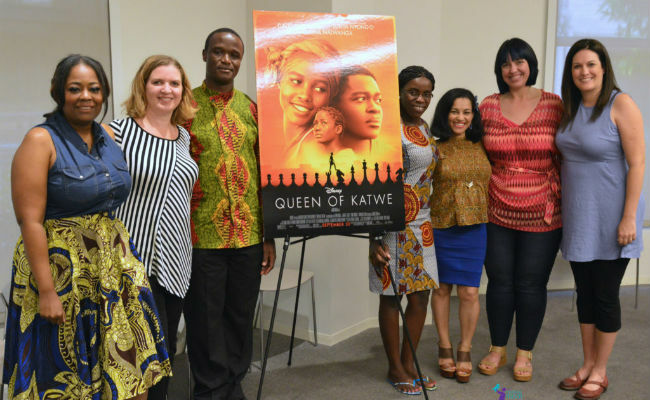 In 2012, Tim Crothers published a book about Robert and Phiona’s success titled, Queen of Katwe: A Story of Life, Chess, and One Extraordinary Girl’s Dream of Becoming a Grandmaster. 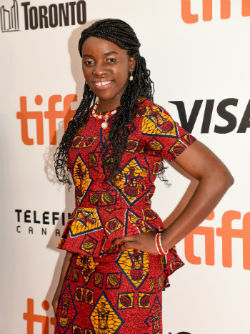 Walt Disney Pictures took an interest in Phiona’s story and turned Crothers’s book into a feature film, Queen of Katwe, released in 2016. Robert Katende worked as a consultant to the film’s producers – most notably on the chess scenes. Walt Disney Pictures took an interest in Phiona’s story and turned Crothers’s book into a feature film. Robert currently lives in Kampala with his wife, Sara, and their three daughters, Mercy, Hope, and Queen Grace. Their family also hosts children that Katende mentors. Katende is the founder and director of a non-profit school, SOM Chess Academy, which has branches in several Ugandan communities. He is also served as General Secretary for the Social Action Commission of the World Chess Federation. 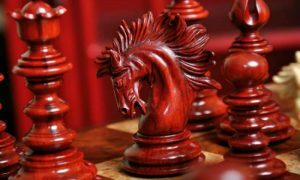 Other chess schools, looking to emulate Robert’s secrets for success, have invited him to run chess seminars for instructors. 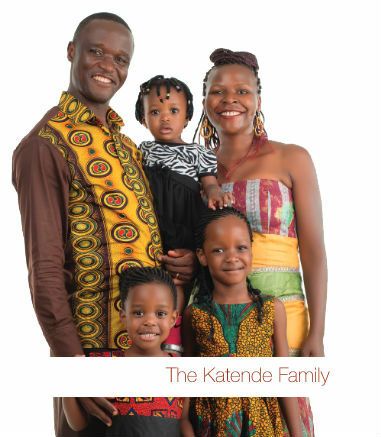 This work has brought Katende to several other African nations, including Rwanda, Cameroon, Botswana and Kenya. SOM Chess Academy affiliates are also opening in Argentina, Uruguay and the USA (Baltimore, Maryland). Robert has also been an inspirational speaker at events all over the world. He is a member of the American Speakers Bureau and has brought his inspiring message to the Women in the World Summit, Bill and Melinda Gates Foundation staff conference, and various Sports Outreach banquets, just to name a few. He was selected to join the 2018 class of the Obama Foundation Leaders Africa Program. With nearly 10,000 applicants to the program from across the continent, Coach Robert made it to the final list of 200 to join in the inaugural leaders’ cohort. The Robert Katende Initiative (RKI) was launched to inspire, empower, and transform the lives of disadvantaged children living in Ugandan slums. Robert’s mission is to impart strong values, social skills, the ability to create wealth, and a sense of empowerment, peace, equality, and dignity. Education, child protection, rehabilitation, mental health care, and crime prevention are all important areas of the Initiative’s focus. The Initiative lists its core values as: compassion, selfless service, integrity, equal opportunities for all, and accountability. The chess academy is only one of the many ways Katende’s Initiative is enabling new generations of Ugandan children to break the poverty cycle and achieve greatness. The Initiative’s mission covers a wide range of important areas, including: provision of food and clothing, access to medical care, access to computers (and education on how to use them! ), alongside the chess academy and scholarships to “regular” schools. The Robert Katende Initiative aims to enrich the lives of 10,000 Ugandan children over a given two-year period. In 2004, Robert Katende opened his own chess academy. SOM Chess Academy presently teaches disadvantaged youths in the slums of Kampala, the villages of Gulu, and one of the communities of Jinja. The over-reaching mission of Robert’s academy is not only to teach these kids chess, but also to prepare them for further formal education, always encouraging students to achieve their fullest potential. 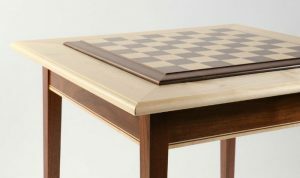 Students are allowed to attend SOM Chess Academy for free. Many of SOM’s students would have no opportunity to attend any sort of school, otherwise. The school has also paired up with a few vocational training projects, allowing their students the chance to further their education. 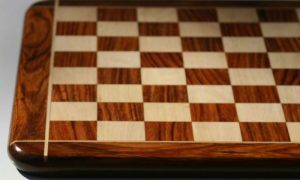 There is even a special branch for differently-abled students to learn chess and life skills tailored to their individual limitations. SOM Chess Academy always encouraging students to achieve their fullest potential. SOM’s leaders (or “pioneers” as they call themselves) take the approach of focusing on each child as an individual – and chess isn’t the only thing they teach. These educators also take on a “life coach” and mentor roles, helping their students realize self-discipline, goal-setting, good character traits, leadership, confidence, and hope for a better future! The Academy’s administrator is Richard Tugume. Richard was one of Robert’s original students when he first started teaching chess! Now Richard is FIDE certified, primarily teaching out of the Academy’s Katwe Chess Center. We absolutely love the heartfelt mission of this school. Robert Katende’s story is an inspiring testament to the fact that anyone can achieve greatness, no matter how rough their beginnings. What’s not to love about a non-profit chess school that not only improves the lives of its disadvantaged students, but also turns out chess champions?! For enrollment questions or to donate and support SOM Chess Academy and Robert Katende’s mission, please see below.